With ZIN™ Play, you can access your music from ZIN™ Now and your music library directly from your phone, get song suggestions based on your playlists, and search for tracks by keyword, rhythm and BPM. You're able to customize your favorite tracks by adding sound effects and trimming the length – you can even add a water break! Even if you haven't made the switch to digital yet, you'll get content like Mega Mix choreo, plus specialty and bonus videos. Your favorite content from ZIN™ Now automatically syncs with ZIN™ Play without missing a beat. The best part? You can access your playlists in class without needing Wi-Fi or mobile data. **Selected as one of Apple's Best Fitness Apps of 2013! 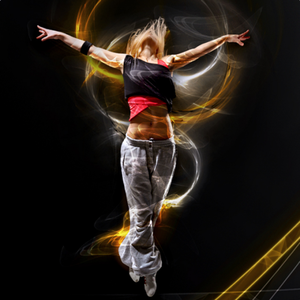 ** **The #1 Health & Fitness tablet app in 108 countries! 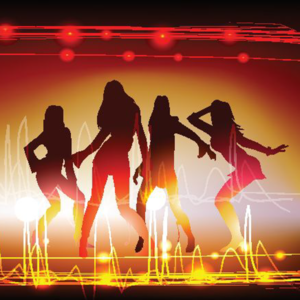 ** We've added new features including: TWO NEW SONGS - Rock out to "Zumba" by Don Omar and Zumba original song "Activao" in addition to the original 6 songs. If you've already downloaded the game, you'll get these for free! All of rest game's rockin' features are below! 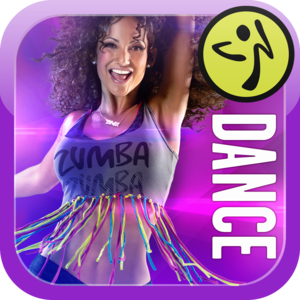 • The hottest Zumba® Fitness routines available for the first time on mobile phone and tablet devices • New motion tracking technology ensures you get the most out of your workout • Dance along with superstar Zumba instructors: Beto Perez, Gina Grant, and Kass Martin • Get moving to chart-topping music from artists like LMFAO, Pitbull, Tiesto, Don Omar, and more plus contagious Zumba originals • Feel the thrill of a huge range of popular dance styles from around the world, including Merengue, Salsa, Cumbia, Bollywood, Hip-Hop, Reggaeton and more • Create a workout group with Facebook friends, set group goals, and party yourselves into shape together! • Three pre-programmed calorie-burning classes: Party, Exhilarating, and Pulse-Pounding • Customize your own classes in 20 to 60 minute lengths with purchased routines • Stay motivated with the Progress Tracker that helps you create fitness goals and tracks your calorie burn • Learn the basic steps of your favorite dance styles at your own pace in Tutorial mode • Keep track of your progress between your tablet and phone! Cloud saving ensures your workouts stay on schedule whether you play the game on your phone or tablet.